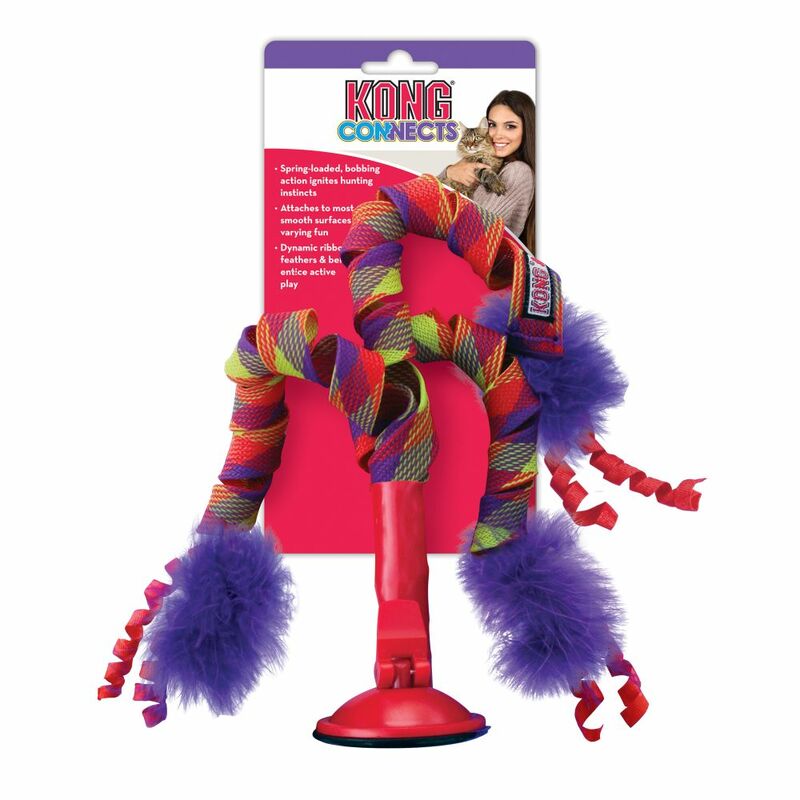 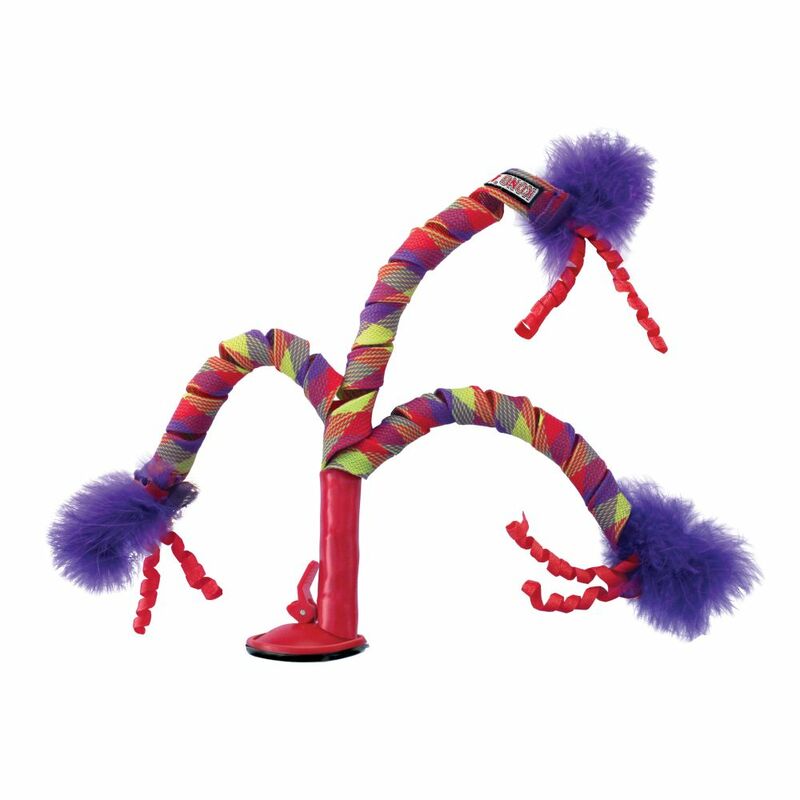 The suction cup makes Connects Curlz a moveable feast of feline fun. 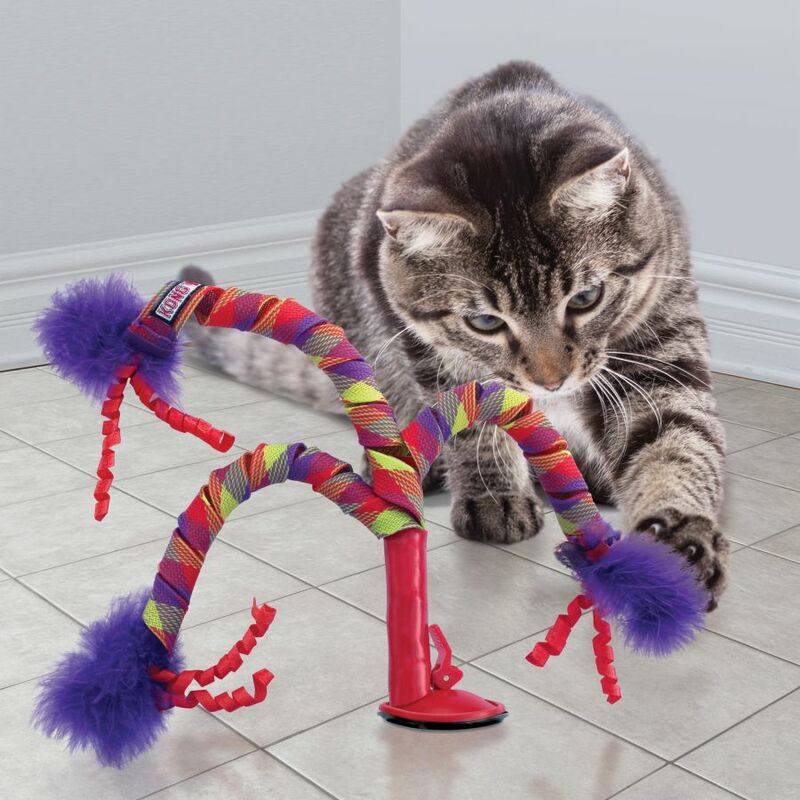 Let your kitty play with it upright on the tile floor, then switch things sideways by sticking it to a window. 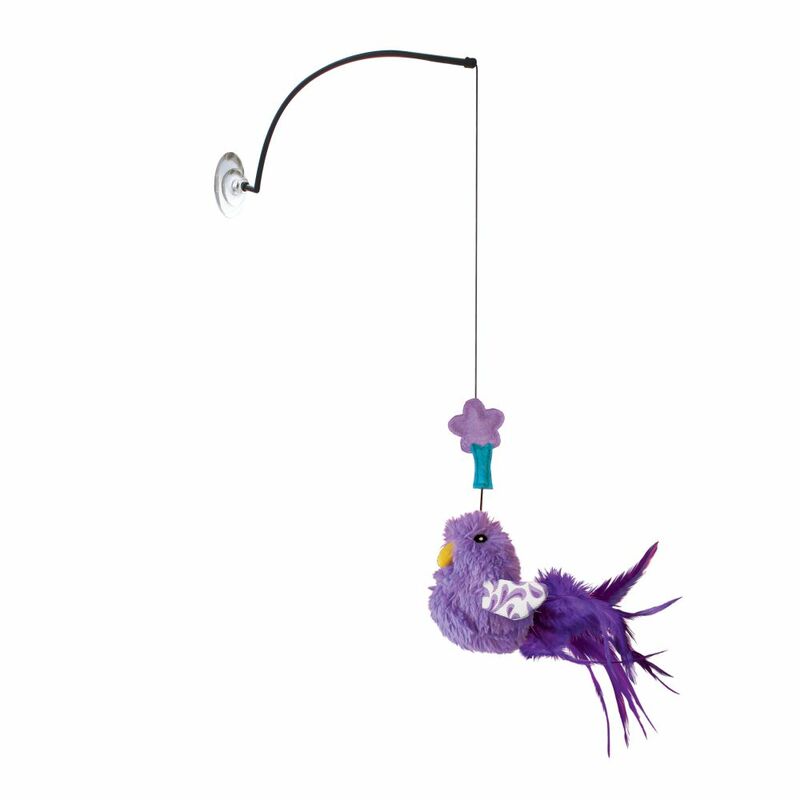 The spring-loaded base keeps it standing, swaying and bouncing back from batting, sparking your cat’s hunting instincts. 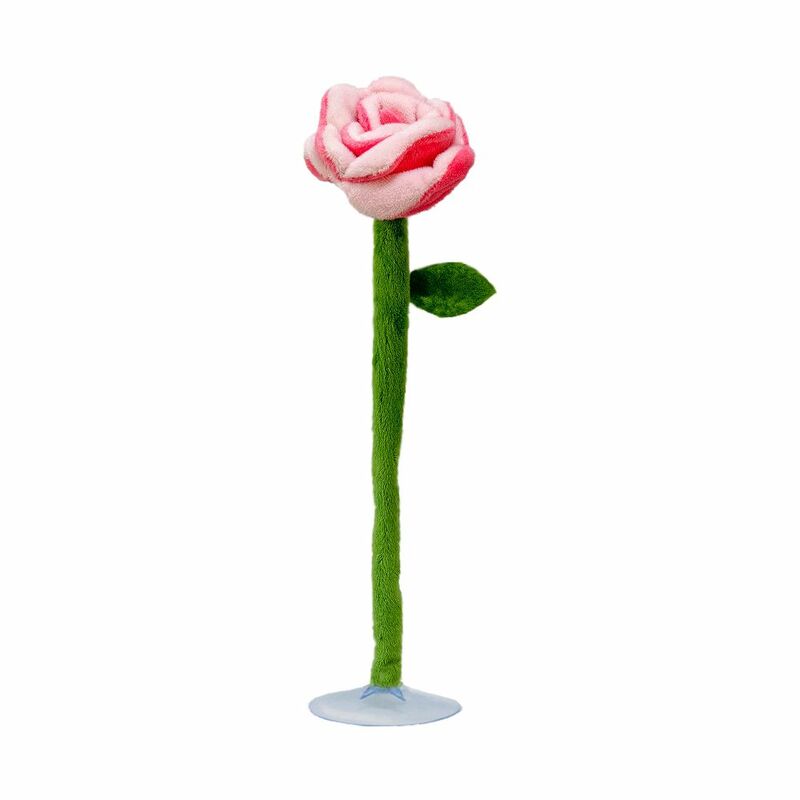 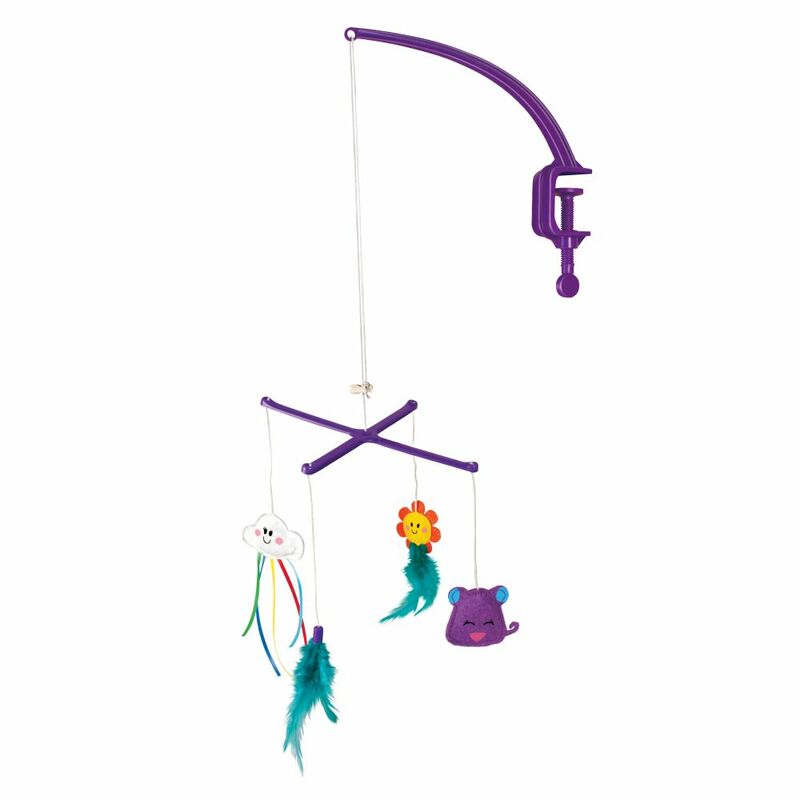 Dynamic ribbons, feathers and tinkling bells are ideal for long-lasting solo play.